Kenneth Copeland Ministries has been publishing the Believer’s Voice of Victory magazine for more than 40 years. Receive your positive, faith-filled magazine FREE each month, subscribe today at www.freevictory.com. 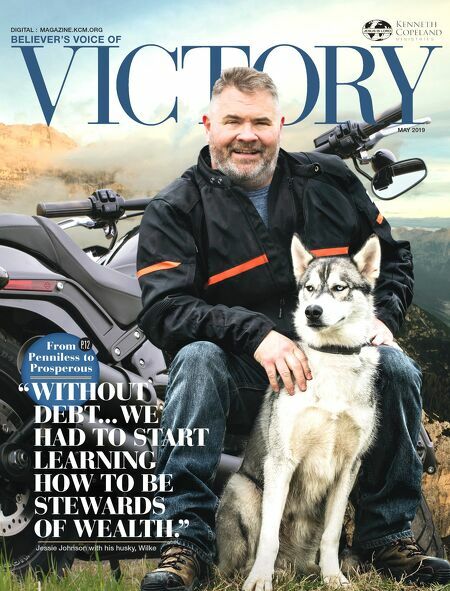 KENNETH COPELAND MINISTRIES JESUS IS LORD MAY 2019 BELIEVER’S VOICE OF VICTORY From Penniless to Prosperous P.12 “Without debt...we had to start learning how to be stewards of wealth.” _____________________________ Jessie Johnson with his husky, Wilke.